Six states are wrapping up Federal Highway Administration-sponsored projects examining weather resilience strategies for their highway infrastructure, with the agency expecting reports on their research to be filed sometime in February; reports FHWA then plans to publish in a resilience “guidebook” later this year. That insight from Stephen Gaj, asset management team leader within FHWA’s office of infrastructure, jump-started a panel discussion on integrating “extreme weather resilience” into state transportation asset management plans or TAMPs; a panel held Jan. 16 at the 2019 Transportation Research Board’s annual meeting in Washington, D.C.
FHWA’s Stephen Gaj is standing at the podium on the far right. Elkins Green, director of the environmental division of the New Jersey Department of Transportation, stressed that understanding the “root cause” of extreme weather events is the key to developing effective lifecycle cost management for transportation assets. But he emphasized that those assets should not be viewed in “isolation” from one another. He added that data collection is a challenge as “gaps” in the collection of the reasons behind road closures does not result in a “true” indication of everything susceptible to flooding, for example. “A GIS [geographic information systems] tool should be developed to assist in visualizing vulnerabilities and be incorporated in the life-cycle decision-making process,” Green said. Elizabeth Habic, climate risk and resiliency program manager for the Maryland Department of Transportation, noted similar data “gaps” developed when her group evaluated 8,588 bridges for flooding. Jason Siwula, assistant chief engineer for innovation at the Kentucky Transportation Cabinet, noted that good asset management strategy is “about making quality decisions today that improve assets for tomorrow.” The key to that, he stressed, is properly weighted data that allows agency personnel to perform “hot spot” analysis. 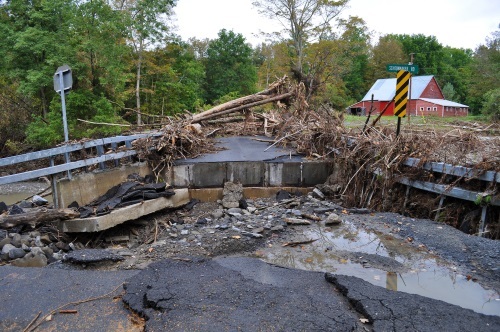 In early 2018, Kentucky suffered a major localized flooding event that led to 220 road and embankment failures. That’s why KYTC joined the FHWA’s resilience pilot project, he said; so agency personnel could learn about topography and climate vulnerabilities and develop a “composite bridge sensitivity index” to help evaluate bridges and culverts to determine those that could be “extra sensitive” to flooding. Steven Olmsted, who works within the intermodal division of the Arizona Department of Transportation, noted his agency has been developing resiliency protocols for 10 years and is now trying to take the “next step” by creating a “regional screening opportunity” of transportation assets that may be vulnerable to extreme weather events.